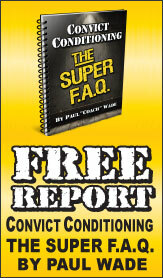 How sure are we that Kettlebells from the Ground Up 2 (DVD) will work for you? 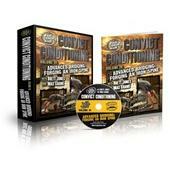 Simply fill out the form below and put Kettlebells from the Ground Up 2 (DVD) to work for you right now. Obviously, we would go out of business if Kettlebells from the Ground Up 2 (DVD) didn't work, the way we said, right? With the promise of a full refund if you're unsatisfied, you have nothing to lose by trying Kettlebells from the Ground Up 2 (DVD). Go ahead and try it today. 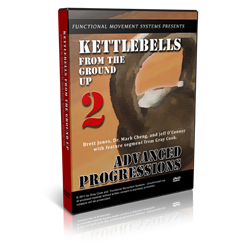 Kettlebells from the Ground Up 2: Advanced Progressions provides information on philosophy, basic set-up, and advanced progressions based on the Get-Up. Brett Jones, Dr. Mark Cheng, and Jeff O’Connor guide you through mastering the Get-Up and achieving the ultimate goal of Kalos Sthenos (Beautiful Strength). 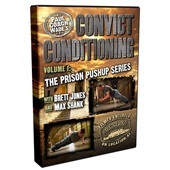 A strong correlation exists between the Functional Movement Screen (FMS) and the Get-Up; the advanced corrections demonstrated in this DVD will help clean up your asymmetries and improve many of your movement patterns. I have been using kettlebells from the ground up for awhile and have had number 2 the entire time. I do one step a day every morning and I find that these additional correctives really round out each step to make it a complete movement preparation. I completely recommend this product. a great reference to study and learn from. The TGU is a complex move and so few do it well but learning from Dr.Cheng, Gray Cook, Brett Jones and Jeff O Connor will only expand your knowledge and skill base. Many hours of study and practice ahead! this is a great complement to the kettlebells from ground up 1.